You’re snacking on a bag of chips while watching a show. You look down at the end of the episode and realize that you’ve just eaten the entire bag. Or even if it’s not that extreme, maybe you simply don’t remember what you ate for breakfast today. It may not seem like a big deal, but it could cause you to unwittingly make bad food choices and/or overeat. That’s where mindful eating comes in. Mindfulness encourages you to be more present and aware of your thoughts, feelings, and physical sensations. When this concept is applied to food, it encourages you to be more conscious of what you’re putting into your body (as well as environmental sustainability) and to be more in tune with your body’s cues (aka whether you’re hungry or full). Dr. Lilian Cheung, a nutritionist and lecturer at Harvard T.H. Chan School of Public Health, told Harvard Health that “mindless eating” could be contributing to our national obesity epidemic. 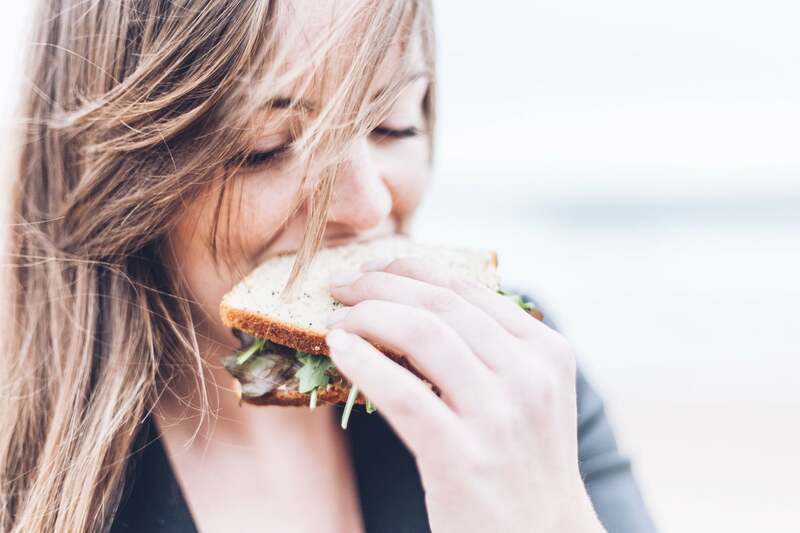 On an individual level, being more mindful when you eat can improve your relationship with food and serve as an effective long-term weight-loss solution. The whole idea is to pay attention to not only what you eat and how much, but what you buy and how you prepare it as well. In doing so, you become much more appreciative of food and you’re less likely to overindulge. According to Healthline, it takes about 20 minutes for your brain to realize that you’re full. So instead of scarfing down your dinner, chew and eat slowly and free your table of any distractions. This means not responding to texts until you’re finished eating, not scrolling through Instagram as you eat, and not eating in front of a TV. Apply this practice starting with your next meal!